Grapefruits are rich in a variety of nutrients and antioxidants. In fact, half a grapefruit can provide almost 70% of the daily recommended value of Vitamin C. In addition, the fruit provides a healthy dose of beta carotene, potassium, and folate. In addition, pink grapefruit contains a carotenoid phytonutrient called lycopene that gives the flesh its distinctive pink color. Lycopene protects your skin from harmful ultraviolet rays and has anti-tumor activity. Moreover, the fruit is low in calories but high in water soluble fiber that makes you feel fuller. Studies have shown that regularly consuming grapefruit or grapefruit juice as a part of your daily diet can prove beneficial in losing weight naturally as it reduces insulin levels and affects the regulation of fat metabolism. Thus, you can have about a half a grapefruit (fresh) before a meal or drink grapefruit juice almost three times in a day. This refreshing fruit has a tart-sweet taste. Plus, it has high water content. Furthermore, grapefruit pulp is considered effective in the treatment of urinary disorders. It also contains salicylic acid that removes or dissolves inorganic calcium that may have deposited in the joints (arthritis) due to excessive consumption of white flour products. Being packed with vitamin C and bioflavonoids, it strengthens the immune system and fights aging. In addition, grapefruit has high anti-bacterial, anti-viral, antiseptic properties and a flavonoid called naringin in this fruit has an anti-cancer effect. Grapefruit seed extract, too, is beneficial for health as it kills bacteria, yeast, fungi, and other micro-organisms. Besides, you may drink grapefruit juice to relieve issues like sore throat, cough, and reduce the risk of developing kidney stones. Due to the tangy taste of this citrus fruit, you may consider it to be acidic but in actuality it promotes alkalinity in the system and neutralizes acid levels. Hence, it helps reduce acidity. Moreover, grapefruit essential oil works as a lymphatic stimulant and heals cellulite. Grapefruits should be stored in a cool and well-ventilated area. Thus, you can store the fruit in the fruits/vegetables compartment of your refrigerator for about two to three weeks. In case you have a leftover cut grapefruit, you can wrap it in a plastic wrap or keep it in an air-tight container in the refrigerator for three to four days. While purchasing the fruit, look for grapefruits that are firm yet slightly soft when gentle pressure is applied. The ones with thin skins tend to have juicier flesh. Furthermore, it is best to avoid grapefruits with extremely rough and wrinkled skin. Overly soft spots on the fruit, though, may indicate signs of decay. 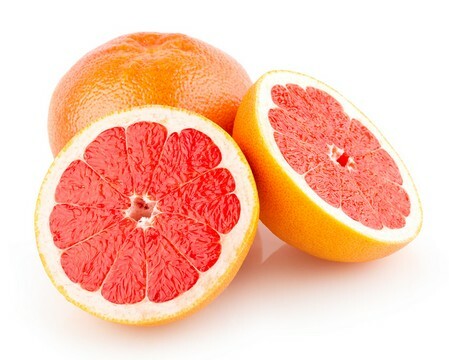 Raw grapefruit as well as grapefruit juice may interfere with certain prescribed medications, especially those for controlling blood pressure, blood cholesterol, and cyclosporine class antibiotics. In addition, as it is a citrus fruit, excessive consumption of grapefruit can cause diarrhea, boils, irritated nerves, and so on.